"It just hurts all over..."
Fibromyalgia is a chronic disorder characterized by widespread musculoskeletal pain, aches, fatigue, sleep disturbances and multiple tender points. These "tender points" refer to sensitivity that occurs in precise localized areas, particularly in the neck, spine, shoulders, hands, back and hips. People with this syndrome may also experience morning stiffness, irritable bowel syndrome, menstrual cramping, anxiety, chronic headaches, memory impairment, dizziness, dry mouth and eyes, impaired coordination, malaise, skin rashes, muscle pain after exertion and jaw pain..
Fibromyalgia pain is difficult to live with but the condition does not permanently damage the muscles or joints. This neurological disorder is not determinant on race or age, but a higher percentage of patients are women. People with autoimmune disorders such as Rheumatoid Arthritis or have recently had infectious diseases like Lyme’s disease are at higher chance of contracting fibromyalgia. Most researchers have agreed that fibromyalgia is a condition of the Central Nervous System (CNS). 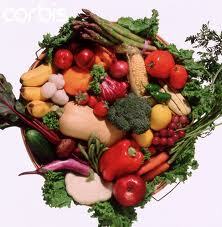 It may also be related to imbalances of chemicals and oversensitive nerves in the brain. Fibromyalgia patients have shown low levels of blood circulation to the thalamus in the brain, increased levels of phosphorus and abnormalities in the immune system. 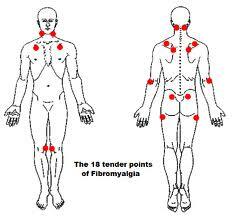 Tender/trigger points are specific sites on the body that cause pain when pressed. There are 9 pairs of tender points. Each pair has one point on each side of the body for a total of 18 points. According to the American College of Rheumatology, fibromyalgia affects 3 to 6 million North Americans. It primarily occurs in women of childbearing age, though men, children, and the elderly may also be affected. Currently, the exact cause of fibromyalgia is unknown and because many of the symptoms mimic those of other joint and muscular diseases, it is very difficult to diagnose. How Can Chiropractic Help Fibromyalgia? Chiropractic care is based on the principle that a person’s health is determined by the condition of the Central Nervous System (CNS) and it's relation to muscles and the spine, without the use of surgery or medication. Therefore, spinal manipulation could help to alleviate CNS abnormalities, increase blood flow and relieve the pressure on specific nerves. The chiropractor can correct these physical abnormalities of the spinal cord and thus is able to ultimately alleviate pain for these patients. Also, chiropractic care is critical for those who suffer from fibromyalgia in order to keep the spine and muscles from losing too much movement. Because fibromyalgia causes the muscles to tighten up and lose some of their natural pliability, it results in a global loss of movement in the spine. The loss of movement in the spine results in a neurological reflex that causes the muscles to tighten further. This vicious cycle will continue and over time will lead to increased pain, increased muscle tightness, a loss of movement, more difficulty sleeping and the development of more and more trigger points. The only option is to continually adjust the spine on a regular treatment program schedule and keep it moving. It is not uncommon for those with fibromyalgia to be adjusted three to four times per month in order to keep everything mobile and relaxed. The biggest concern in treating people with fibromyalgia is that their muscles have a diminished healing ability. For this reason, chiropractic adjustments are usually modified slightly to be more gentle than normal. This helps to decrease the stress on all of the small supporting muscles of the spine, which can be easily injured. It is important when seeking chiropractic care, to make sure that the doctor is familiar with the muscular changes that occur with fibromyalgia so that they can adjust their treatment accordingly. Chiropractic treatment for fibromyalgia has emerged to be the most common treatment of this condition. It is effective since it improves pain levels and increases lumbar and cervical ranges of motion. The chiropractor works on increasing the mobility between the spinal vertebrae that have become locked, slightly out of position or restricted in movement mechanics. Chiropractors achieve this by using natural and generally painless hand adjustments. With stretching, gentle pressure and multiple gentle movements of one area, the doctor will be able to return the affected spinal vertebrae and joints to normal position or motion. It is this return that is said to reduce the ill health and relieve pain. Chiropractic treatment for fibromyalgia has few risks and offers immediate results and there is a high percentage of successful treatment for fibromyalgia. 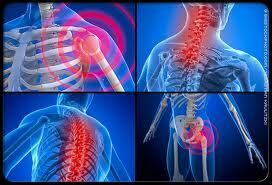 Chiropractic care has been ranked as among the therapeutic approaches that offers the most fibromyalgia relief. 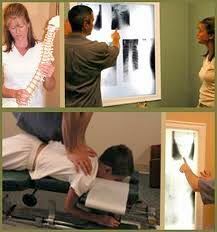 The chiropractic doctor may also include registered massage therapy in the treatment program. During the massage session, the massage therapist uses a system of kneading, long strokes and friction techniques. With these, they massage the superficial layer of the muscles and this massage technique combines both active and passive movements of the joints. For deep massage, there is greater pressure in order to target the deep layers of the muscles. Neuromuscular massage can also be done to reduce soft tissue pain and chronic muscle. Apart from pain reduction, massage is connected to mood elevation and improvement of the life of fibromyalgia patients. The overwhelming characteristic of fibromyalgia is long-standing, body-wide pain with defined tender points, and frequently, trigger points. Trigger points are often confused with "tender points." They are not the same. A trigger point needs firm pressure to elicit pain, while tender points are painful with even very light pressure. Trigger points will refer pain to other areas of the body, whereas tender points will not. Unlike tender points, trigger points can occur in isolation and represent a source of radiating pain, even in the absence of direct pressure. As discussed earlier, trigger points are purely comprised of spasmed muscle fibers, whereas tender points are knots filled with ground substance. Those with fibromyalgia almost always have a combination of the two - trigger points and tender points - and can improve dramatically with light trigger point therapy performed by a chiropractor. Since poor healing of muscle tissue and chronic pain are characteristic traits of fibromyalgia, LLLT is an important part of any treatment plan. Two of the major benefits of cold laser therapy is stimulation of tissue healing and decreased sensations of pain. A 1997 study of 846 people with fibromyalgia reported in the Journal of Clinical Laser Medicine and Surgery demonstrated that two-thirds of the patients experienced improved pain and mobility with cold laser therapy. Another study published in Rheumatology International in 2002, showed that those who received laser therapy had a significant improvement in pain, fatigue and morning stiffness. Click here for further information on LLLT. Chiropractors have the training, knowledge and expertise to understand and manage fibromyalgia successfully. 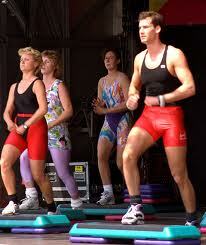 However, successful treatment requires the active participation of the patient. Dr. Pisarek will take a comprehensive approach in evaluating and designing a specific care plan for those who suffer from fibromyalgia. Nutrition, lifestyle modification, stretching and strengthening exercise, cardio-aerobic exercise, yoga, and regular chiropractic adjustments have all shown to play a role in reducing pain and other symptoms, while improving whole body health and wellness.